BOMBEE didn´t rise from the ashes of FLU.ID and VOLT but have been a complementary outlet for Boris Kaiser (ex-VOLT-drummer and cajon & keys in Bombee) and Roeder (bass in FLU.ID & Celan and acoustic guitar in Bombee) to lay focus on what you can call the flipside of a coin that is their way of musical expression. With the addition of Alexandre DeFlandre and Markus Altmann on cello, Bombee take the challenge of sparse instrumentation leading into suspense and intensity. And they in fact receive and deliver. Without trying to focus too much on Roeders and Boris´ former bands, whose musical approach was completely different the achieved contentual goal isn´t that much different: Bombee create deep and somewhat dark atmosphere rooted deeply in brittleness and perishabilty of the human soul. If you have some enthusiasm for the later work of Johnny Cash as well as Bonnie »Prince« Billie and if you feel a connection to the creations of bands like Son Volt, The For Carnation, Son Volt and even Calexico you would understand, where Bombee come from and go to. It is in fact the sparse instrumentation that clearly sets the pace and mark here and applies Occam´s razor. Bombee have become masters of this attitude. While their debut “Beach Boys Back From Anchorage” once was a mix of challenge and search, the second album could be lumped under the Singer/Songwriter moniker without exception, »Black Keys« now can be classified as effort by a band that has found what they were looking for. The band’s songs impress through Roeder’s very sensitive guitar playing, Kaisers sparse but effective cajon work and from de Flandre’s vocals that are able to bury themselves under your skin. The archaic atmosphere this skeleton of tone is creating gets crowned by deep and dark cello work as being a crooner right beside the voice and taking the step forward from being a fundamental part to a carrier of the song sometimes. 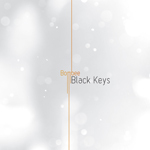 Bombee have carried forward since the release of “Black Keys”, Boris Kaiser left the band amicably and incorporating even more styles and members, Bombee are keeping up with the challanges of remaining an ever surprising act, artistically and musically. BOMBEE have released one album on Exile On Mainstream (click for purchase).